Valerie has been selling real estate in California for over 15 years full time and has received awards for top sales production and quality service. Her education includes a Masters in Business (MBA) and Bachelor degrees in both Psychology and Recreation. She is a Certified Distressed Property Expert (CDPE). Valerie sells approximately 30 plus properties each year. Recipient of the Top Centurion award in 2016, combined with year after year top production awards often puts Valerie as a top agent at the office(s).. As a consistent top 15 Realtor for the entire county, she demonstrates hard working values. Valerie and her husband Gary relocated to the Arnold / Murphys area from Southern California many years ago, initially living in resident housing at Calaveras Big Trees Sate Park. They were attracted to the area for its beauty, friendly residents, small town feel, and accessibility to numerous recreational opportunities. They since have purchased a home in the area. Her hobbies include dancing, kayaking, walking, attending local concerts, movies and local dining. 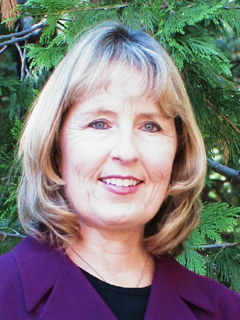 She has been mentoring a local youth girl for over six years and has been the President of the Calaveras County Women's Network. Valerie prides herself in her organizational skills, patience, dedication, and honesty. As one of the most aggressive advertisers in the area on Zillow, Trulia, and Realtor.com, combined with tried and true selling techniques, she delivers results for both sellers and buyers. Feel free to check out her reviews on Trulia.com and Zillow.com ... Call today at 800-357-1360. "I am never too busy for referrals". Free Market Analysis upon request.